Cut Your Content Production Time In Half! One of the biggest challenges for online entrepreneurs is how much sheer time it takes to create content. 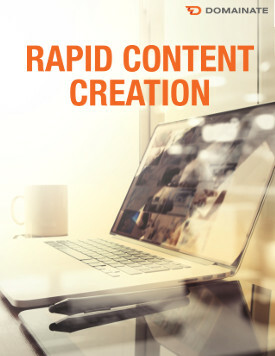 In our 30-day Rapid Content Creation program, you’ll receive a daily lesson that is between 1 and 15 minutes long with an action step. The intent is by the end of 30 days, the typical participant will be be able to cut their content production time in half. Webinars and Teleclasses… and more! Each class is available in video, audio and written format. To ensure you reach your goals, we conduct entry and exit surveys that measure your strength and confidence in your content production. Classes are released one day at a time to keep you walking through each lesson at perfect pace to put each strategy and technique into practice. This 30-day course starts immediately upon joining, delivering you one new lesson each day. Sharon Hayes is a marketing & business strategist and currently serves as CEO of Domainate Incorporated. 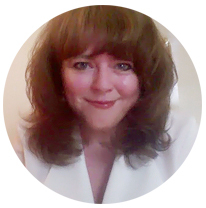 On top of having built and sold numerous companies she founded, Sharon has also worked extensively with organizations of all sizes on strategy and implementation of marketing objectives through social media, community development, e-mail marketing, paid traffic and domain names.She has created 39 courses and has had over 14,000 people take her courses. Her client roster, past and present, includes Porsche, Tom Peters, Harvard Business School, IBM, Jean Chatzky, CBS MarketWatch, Good Life Project (Jonathan Fields), Alexandra Jamieson and thousands of others. Sharon is a proud alumni of Concordia University's business program and has been working almost exclusively online since 1991 - predating commercial usage of the Internet.